SCVHistory.com | Pre-Newhall | Kraszynski Sues to Recover Land Used for Original Oil Refinery at Lyon's Station, 1874. Original Oil Refinery at Lyon's Station, 1874. In Case No. 596 in Los Angeles County Court, filed May 14, 1874, Andrew J. Kraszynski (plaintiff) vs. The Los Angeles Petroleum Refining Company (defendant), Kraszynski sued for damages and the return of the two acres of land that the Company was using to build the Lyon's Station refinery on. The case documents state that on August 6, 1872, Adam Malezewski, was the owner of the plot of land containing Lyon's Station. He had leased it to O.P. Robbins for three years. On July 21, 1873, Robbins transferred the lease to Peter Jorgenson and A. J. Kraszynski. On October 24, 1873, Jorgenson and Kraszynski surrendered their lease for two acres back to Malezewski so that he could sell it to the Los Angeles Petroleum Refining Company for a refinery they wanted to construct there. The refinery would be of benefit to Jorgenson and Kraszynski for their store and hotel business that they were then running at Lyon's Station. Kraszynski lost. He then filed another suit (Case 2479) in the 17th District Court on June 6, 1874. That court decided that there was no evidence to show that Jorgenson and Kraszynski had surrendered their lease to the two acres to Malezewski. Also, at some point, Jorgensen had assigned his interest to Kraszynski. The court awarded Kraszynski $25 from the LA Petroleum Refining Company for rent (5 months at $5 per month). What makes these two cases so interesting is there is no mention of Sanford Lyon. 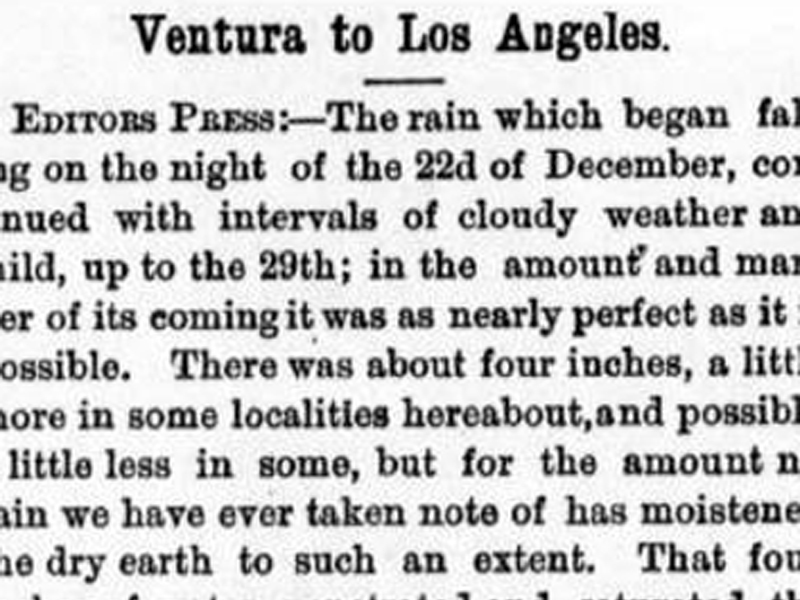 That means that by August 6, 1872, Lyon was not the owner of the land containing Lyon's Station (which would also mean he didn't own the station). A 1876 plat map shows Lyon's house in Lyon Canyon, so he may have moved there after he sold out to Malezewski. 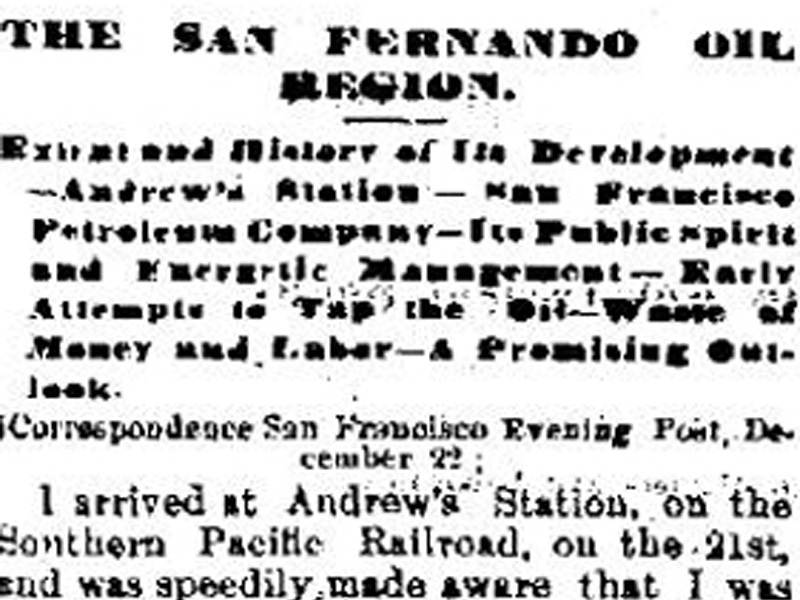 Also, since Andrew Kraszynski was leasing the land, he probably never became the owner because in 1875 he moved over to his new Andrew's Station (along today's Pine Street), next to the railroad then being built. 1. The Court finds that defendant, a Corporation duly incorporated under the laws of this State, acting by and through its officers, agents, and employees, entered upon a portion of the premises described in the complaint herein, by and with the permission of the plaintiff on December 31st, 1873, as follows: That in October 1873, the defendant was desirous of obtaining a small tract of land, a portion of the premises in the complaint described, for the purpose of putting up a petroleum refinery; that plaintiff and Jorgensen were equally desirous that the refinery should be erected upon said premises, the alleged benefit to them the probability of increased travel and the probability of the boarding by them the laborers of the defendant. That plaintiff and Jorgensen requested Adam Malezewski to deed or to contract to deed to defendant the said two acres in complaint described with the right to said spring, and the right of way of pipes therefrom to said two acres. That by the representation of said plaintiff and Jorgensen, that they desired him to sell the same for the reasons and purposes above mentioned. Said Adam Malezewski sold the said two acres with the right to the use of said spring and the right to lay pipes therefrom to the said two acres, to defendant on the 24th day of October 1873, by a certain written contract of that date. 2. That the plaintiff was in the lawful possession of the premises described in the complaint at the time of the entry of the duly authorized and empowered officers and employees of the defendant under and by virtue of a lease duly recorded , made on the 6th day of August 1872, by the owner in fee, the said Adam Malezewski to O. P. Robbins, to continue three years from the said last mentioned date, and assigned by said Robbins to plaintiff and P. Jorgensen on the 21st July 1873 previous to the entry of the said officers and employees of the defendant; the said Jorgensen assigned all his interest in the property to the plaintiff who remains in sole possession. 3. That there is no evidence to show that there was a surrender of the lease of two acres or any other portion of said premises to Adam Malezewski by plaintiff or P. Jorgensen. 4. That the use and occupation of said premises consisting of two acres of land, a spring of water, and a line of pipe to control the water of said spring to the refinery of defendant were reasonably worth five dollars a month. In conclusion of law from the foregoing, the Court finds that the plaintiff is entitled to recover of the defendant the sum of twenty five ($25) dollars lawful gold coin of the United States.